Keywords are what people type into their search engines to find what they are looking for. If you want to be found by potential readers you really need to learn about keywords. You can either pay lots of money for people to find you (for eg Google Adwords) or you can focus on gaining organic traffic. The thing is if you pay for traffic you will have to keep paying. As soon as you stop paying your visitors stop. It is not exactly a good long term solution now is it? Or you can aim at getting organic traffic. This takes a lot longer to achieve and it takes some hard work to achieve, however once you understand the process and you start getting organic traffic the sky is the limit to what you can do. It is also a long term solution. Once your website is getting organic traffic it will just increase if you keep working on it. Learning how to choose the right keywords for your website will help you to easily rank your website above your competitors! So this makes keyword research vital to any online business! When you first start learning about keywords it can be a bit overwhelming and confusing, but it really is quite simple. The first thing you need is a really awesome Keyword Research Tool. What is a long tailed keyword? Long Tail Keywords are keyword phrases that are long and specific. Here is an example of what I mean. You could target “lose fat” or you could go for a longer more specific keyword such as “how to lose belly fat fast”. people searching for long tail keywords are further along the buying cycle, in fact some of them could already have their credit card out! Adding content to your website that is not related to your niche can drop your ranking. If you search for very specific, long tail keywords you will find what is called low hanging fruit. These are keywords that have low traffic but hardly any competition. Low hanging fruit keywords will be easy to rank. All those low traffic keywords will add up to a decent amount of traffic over time. Keywords that don’t make grammatical sense are not easy to add naturally to your content. Remember that content must be readable and written naturally to rank so make sure your keywords make sense and can be fitted in naturally into your content. This will make it much easier to convert your content into sales. If you add words like buy, price check or review you will be more likely to catch a customer in the last phase of the customer purchase lifestyle, which means they are ready to buy. You will be surprised how changing words around can make a huge difference in the amount of competition and traffic. Do yourself a favour and read my review on the Jaaxy Keyword Tool. Try out the free 30 searches they offer! Please leave a comment if you have any more suggestions for researching great keywords! Are you looking for an honest, no scam opportunity to make money online? Check out my #1 Recommendation! Cheapest Domain Names, check this out! Hi and many thanks for sharing your knowledge with us. I was interested to read that your keyword has to make grammatical sense and that if it doesnâ€™t make sense it can negatively impact your website. How does this work exactly please? How does it negatively affect the website? Also, I was interested to read that putting a keyword into jaaxy allows you to bring up all the affiliates for that keyword. How reliable is it in your experreince? It is a pleasure as always, I love sharing all this information 🙂 Regarding grammatical sense, Google tries to pick up on “keyword stuffing”. If a keyword does not flow well with your content you will be penalized. If you grammar and spelling are not correct Google also doesn’t like it. I have found some nice affiliate programs using Jaaxy, of course they don’t have all the affiliate programs available there, that would be impossible! But it is a nice, useful extra to have. If you are looking for affiliate programs searching for them is quite simple, just type your niche + affiliate program into google. Was looking for some info when your site came up and im glad it did. As a starting blogger, i did not know i needed keywords to write content. Thanks to your well written and well explained post i can understand whyt keywords are and why i need them. Hi Roamy 🙂 I am so pleased you found this helpful! For each piece of content you write choose one keyword to focus on. Choose a keyword you can easily rank for and half your work is done to get easily ranked! Wow, I this info is gold! Keyword search can be a drag sometimes, you’re there looking for that keyword that will give you a chance to get ranked on the first page and it feels so hard sometimes. Do you find that Jaxxy has given you more #1 page rankings? Most definitely Ana. It has made keyword research an absolute pleasure. Try out the 30 free searches and see for yourself. I guarantee you that you will be hooked on Jaaxy! Hi Lynne! Good post about keywords. I completely agree with you. Choosing the right keywords makes the whole difference. I also use Jaaxy, is a great tool for anyone using SEO in their online business or who is looking to increase the traffic. It is very easy to use and does deliver on itâ€™s promises. I also recommend Jaaxy, it’s indeed the best keyword tool, for both beginners as well as experts. Thanks for your feedback Sandra. Glad you are also loving Jaaxy 🙂 Best tool I have seen to date! Yes I totally agree Jaxxy is awesome. I too had tried a number of ‘well known’ keyword tools and got good results . Then I used Jaxxy and wow it was so superior and got me even better results far more easily l was so impressed I gave up all other keyword tools and only use Jaxxy now. Thanks for the compliment Peter, it’s nice to know I am achieving what I set out to do: share important tips, tools and information for anyone starting an online business! I’m also loving Jaaxy, it makes me life so much easier and saving me tons of money too considering what I was previously paying for keyword research! It is a pleasure! Yes, please come back because I am only just getting started on sharing great things to run your own online business! Thank for sharing and it is a very informative article. You have list out all the important points about searching for keywords.I feel that your article will definitely benefit the beginner who have just started their online business. I am also doing the same when searching for keywords. And yes I agreed with you, Jaxxy keyword tool is great for searching for keyword. I am using it too. Excellent article Lynne. Thanks for sharing your in depth knowledge of how keywords work and the benefits that becoming PRO on Jaaxy offer. Well done! Thanks Neil, I am really enjoying the Premium! No regrets there 🙂 The training alone I would pay for even without the unlimited websites and other benefits! you have explained your niche well. The only thing i noticed is your font colours are not as sharp as you might have thought when you put them.The white background is too bright for the writings. Black on white background is easy to do and yet the most effective. Thanks for the feedback. I like the grey lol! I will take that into consideration though. Thanks for sharing this information. Keywords is one of the most difficult but crucial parts of building a site. Thanks Darryl. Yes I think a lot of people place importance on other things when the starting point of content should be keywords and it will make everything else so much easier in the end. While I already knew some of this, it’s always great to have a refresher on the topic of keywords and how to select the best ones. Great tips on the best ways of picking great keywords and how that can help your site rank. I wasn’t aware that your keywords had to be 100% gramatically correct – Great to know this! Yes grammar and spelling can play a huge role in rankings! Glad you could learn something new. I also enjoy reading other people’s views on various aspects of running an online business, I always get a fresh perspective and learn something new. Thanks for stopping by! I could see that keywords are really important in managing a website. 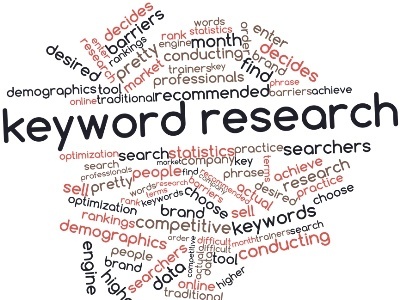 You have such a wide variety of options and tips on how to select the best keyword research. This is really brilliant! This is also helpful to me as this helps me become resourceful in searching for the right keyword for my website. Thanks for the feedback Leonard! I hope this helps you with your research and rankings! It actually reminded me of a few thing I may be over looking at the moment. For example, the relevance of the keywords to my niche. My posts started to rank with far less effort. You have listed the words â€œbuyâ€, â€œprice checkâ€ or â€œreviewâ€ as recommended for fast conversions. Are there any that you would recommend staying away from when it comesthis? Hi Marc, that is a brilliant question. Try and stay away from keywords that don’t make sense. It might look good in Jaaxy but once again if it is not grammatically correct you could lose out. I actually use Jaaxy as well and your absolutely right about it. It is by far the best keyword tool available. its so easy to use and yet it has so many different functions. I have Jaaxy to thank for the rankings my website currently has and I’m not sure where I’d be without it. Glad to hear you are using Jaaxy too Robert! Thanks for visiting and giving us your feedback. Really interesting article – I’ve been looking into streamlining my SEO on the blog posts I publish but I always get caught out on the competition side of things. One question – what should I look to be getting under ( in competition terms )? A friend of mine suggested I look at competition under 400 but I was thinking this is awfully high..
Chris I always look for something referred to as “low hanging fruit” 🙂 This means the competition is very low but the traffic is too. It is much easier to rank for. Once your website is ranking well it is easier to then try for keywords that have more competition. If you keep looking you can find keywords with less than 10! I am currently looking at under 100. I’ve found Jaaxy a very useful tool as well. The point you make about keywords making grammatical sense is interesting. Because when I’ve done searches I’ve found keywords that have a small word missing e.g “need debt consolidation loan” which rank quite well. But how do you use it in your writing, because it obviously won’t flow well when written down? Yes SC that is exactly what it is meant, Those keywords will rank well in theory but when you try and add it to your content it will not flow. Sometimes there is a way to get around it if you are creative and put some thought into it. Very often though you will need to add in a word so it makes sense, of course then there will be more competition! To use your example you can then try “need A debt consolidation loan”. I am sure the competition will be much higher for that. great job Lynne,you are very descriptive at explaining the importance and use of keywords via website content. like you I use Jaaxy and find it to be most helpful in my keyword ranking. You have open me up to some points that Jaaxy provide that will help me in my move forward..
Hi Manuel. I am so pleased you found this post useful. Hello, this is a very useful site as keywords are quite important and trying to write an article about keywords and keeping it interesting is a difficult job to do. I think you have pulled it off nicely. You are right in what you say about getting the grammar and spelling right as I have seen many sites with bad English. Something as simple as a misplaced letter can do so much damaged not just to your rankings but also your as people DO judge you on grammar and spelling. Yes, there are a few ways to get good keywords like alphabet soup and Jaaxy to name a few (although I tend to use the soup one more – old habits). Thanks Dillon. Very good point you made there, I totally agree. If I go to a website and find spelling errors and grammatical mistakes I do judge too. 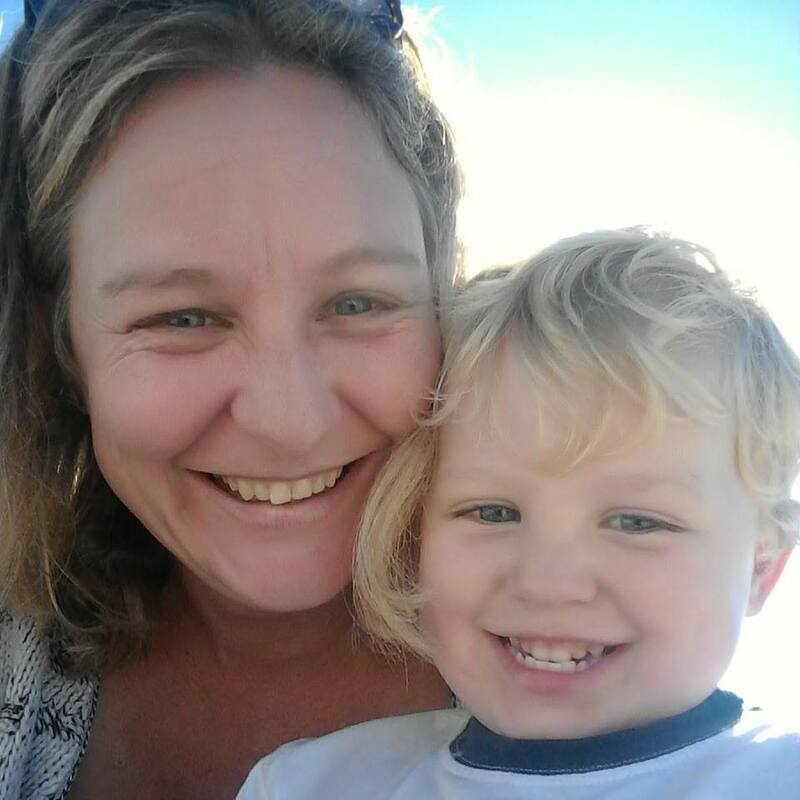 Hey LynneHuy, I must commend you on a your beautifully designed website, Iâ€™m truly jealous since mine is no comparison.You content is well prepared short and straight to the point which is what most readers need to keep their attention on your post. I hope you keep up the good work. I passed through this article the other day and took your tip about trying out this Jaaxy keyword tool – very impressed so far! I did notice there was a site rank tool on the full version – is this any good for finding your location in Google? Glad you like Jaaxy Chris, I have found it really awesome! I have fiddled around with the site rank tool and I find it helpful. I am using Monitor Backlinks for the 2 websites I had before I joined WA and I find that really helpful. I am not using them for my new websites because I find my rankings are still jumping all over the place. Monitor Backlinks monitors your keywords and gives your reports on rankings up and down which I really like. They also monitor all your backlinks as well as monitor your competitors ranking on your keywords plus all your backlinks. They are quite pricey, but they are good. They do have a 30 day free trial if you want to check them out. The package I am on only allows 2 URL’s so I will wait until my websites are a little more established before I upgrade my package. Finding keywords for my website’s content was always a huge struggle and a pain for me because I didn’t know what effective keyword tool to use or how to place keywords in my articles preoperly. You have outlined some fantastic tips that will help me in moving forward with my blog in the future. Hi Chris, so glad I could help. You will be amazed at how well this technique works! I use Jaaxy myself and I love it. I really does make a big difference on the type of keywords I find and really saves me a lot of time, I highly recommend it to everyone. It is a pleasure San 🙂 I’m glad you found that helpful and it really is an important pat of writing. We are writing for our readers so we need to keep our readers foremost while we are writing! Keyword research is really the blood of your business. Without it, your business cease to exist. I had always have problems with doing my keyword research, thanks do Jaaxy as you mention, makes it easier for me to choose. I wish I had come across this article in my early online stage, it would have free up all the wasted time I spent finding keywords. You explain it a very simple and systematic way to help your readers understand. What is the best targeted number of words you think someone should aim for when finding keywords? Hi Bishop 🙂 I am not sure I understand your question correctly about the targeted number of keywords? Do you mean how many keywords should you target for your website? The sky is the limit here. You should be adding new content regularly and each new page or post will target one keyword. The more keywords you rank for the more traffic you will get. If I understood that question incorrectly just let me know and I’ll answer for you. Hello Lynne and what a great looking page! I really enjoy the soft feel and the colors. Excellent photo and a well written article. The customer purchase life cycle is definitely a great and informative read for anyone working in online marketing. I use Jaaxy keyword tool as well and I must agree with you that it’s a wonderful little tool that displays quite nicely my competition and keyword rank. Good luck with your keyword research and rankings! Thanks for the tip about switching words around! 😉 It’s a gem. Thanks for visiting and for the lovely feedback. I am so glad you could get something from my post. Best of luck with your rankings too! Every time I write an article I have four sites I open online Jaaxy as you have described here Google trend. and ubbersurgest. and of course a notepad. I has actually often started to open them without I have had an idea of â€‹â€‹what my article was to be about. Usually it does not take very long before I have all my cue. then it is just to use Jaaxy to find out the contest. in the research just phrases. Very good article on Jaaxy. You are absolutely right when you say that choosing the right keyword can rank your website above competitors. I use Jaaxy as well and find it quick and easy to use. It gives all the relevant information in a matter of seconds. Thanks for your feedback and I am glad you are also finding the Jaaxy tool valuable. Thank you for sharing such valuable information about how to start an online business. I found the information you provided about online surveys especially interesting. I tried several online survey companies and I found that there were times I did not meet the qualifications when completing the pr-survey information. This was quite frustrating for me because there were days when every survey I tried to complete would tell me I did not qualify to take their survey or the survey has expired. A question I have is; have you had any experience with the online business that scans the area you are living in to see if any positions are available? This same business would tell you there is a position available and they you have to go through several pages of testimonies to get to the meat of the business. I haven’t come across anything like that yet. Have you got an example? I will happily check it out and review it for you. If you ever want to succeed in affiliate marketing, you have to master how to choose the best keywords for your contents. This is because of stiff competition. Choosing the right keywords will easily rank your site over and above those of the competitors. The tips given in your article will in no doubt go a long way in assisting people on how to choose the right keywords for their sites. I read your article about how to select the best keywords for your website. You have pretty much covered all the valuable points. In the world of Internet Marketing, keywords play a very functional role and choosing proper keywords is quite a challenge. You have done an awesome job by detailing all aspects of keywords. Thanks for visiting, I am glad you enjoyed this post. This is an informative article on the importance of keywords. There are lots of tools available to to help you choose – and I agree Jaaxy is a great tool to use. It’s interesting that you mention that just changing the words around can generate more traffic. I didn’t realize such a simple change could make a difference. Thanks for the info. Yes, changing the words around while searching for keywords it can make a massive change! Try and play around and see the results for yourself, you will be amazed. Thank you very much for the imformative post. I have been struggling finding good keywords for a few months now. Your post really helps me. Do I really need the Jaxy tool or can I manage without? How long does it usually take to rank with a keyword that you searched with jaaxy? Let`s say that avg searches is 100 and others using the keywords are 10. Btw…Love the theme of your blog. I would advise if you are working online to invest in a keyword tool, yes it costs but you really can’t go without one. How long does it take to rank your keyword? Well how long is a piece of string 🙂 There are so many aspects that come in to it. Firstly make sure you are writing quality content that your readers like and that is written well for SEO. You also need to regularly add new content to your website which will help all your keywords rank better. You need to build trust with the search engines. There is quite a bit that goes into the ranking of each keyword and I will be sharing information on all these aspects. Great post about choosing the right keywords! I agree that it’s very important to your page. I also use Jaxxy and have found it very helpful in creating my posts. Sometimes it’s very hard to work those key words in, but I feel that it makes you a better writer when you are challenged! Keep up the good articles! Thanks! Hi Ben, so glad you enjoyed the post. Yes it takes some practice learning how to write naturally and add in keywords in the right places! I agree with you that keyword research is absolutely vital. In fact, it’s the first thing I do before I begin to write anything. Spending that ‘extra’ hour researching keywords can be time well spent – particularly if it manages to drive more traffic to my site. I have used Jaaxy in the past and find it a very good tool. However, I struggle to keep my keyword lists in some sort of order with it. I always end up copying the results into a spreadsheet to make the data easier to decipher. Perhaps I am approaching it all wrong? Have you any tips for keeping the data so that it’s a little easier to analyse? Thanks for your feedback, keeping keywords organized is something I love to do! Jaaxy has a great feature for this, where you can save your keywords into different lists. Have you not seen that yet? Much easier than using a spreadsheet! Keywords are tricky man LOL! I have a love / hate relationship with them but I ever since I got Jaaxy I’ve enjoyed the research process. Sometimes I don’t focus much on keywords but when I do, I try to go for the ling term keywords as you say. Do you think EVERY post should have a keyword in it? At the end of the day the only thing that brings me in success with SEO is the competition. So many people claim that finding a keyword with under 200 competition is the way to go – good luck with that! I won’t even consider using a keyword unless there are less than 50 competing sites online – you can then watch your business grow in double the time of anyone else! Yes I agree with you on that. I also find doing a bit of research on the competition is incredibly helpful too. Yes there may only be 10 or 20 competitors, but how strong are they? This post is a very basic introduction into keyword research, for more detailed information on ranking here is what I do before, during and after writing content that gets me to rank high and fast! Thanks Lyne for this visual tutor. But what i don’t really understand is how to know how competitive a keyword is? If you are using Jaaxy that would be the QSR that you need to be looking for. This shows you how many people are competing for that keyword. Hi Lynne, thank you for that article. Firstly it showed me how much I still need to learn and how I can change so much by using some simple, yet effective tools, like keyword searches. Thank you so much for sharing this. Alison I am so glad you enjoyed it, yes keyword research can make such a massive difference to your traffic and rankings. It is the starting point for all your content creation. If you don’t know what people are searching for how do you know how to write your post? Sound recommendations in this article. Short and simple. Hi Albert, thanks for your feedback.